1st UK Microfluidics for Analytical Chemistry Conference will be held on Thursday 1 February 2018 at the National Oceanography Centre in Southampton, UK. It will provide an opportunity to discuss recent developments in the field and develop future research opportunities as part of an overall aim to nurture and promote the UK microfluidic and analytical communities. This will also offer PhD students and early career researchers a chance to present their work. Sessions will feature presentations by invited speakers, including keynote presentations from Nicole Pamme (Advisory Board Member for Lab on a Chip) and Joshua Edel (Advisory Board Member for Analyst), in addition to presentations selected from submission of abstracts. There will also be a chance to view the posters and exhibition, with additional networking possible during a wine reception at the end of the event. To register, please click here and for more information, please visit the Conference website here. Lab on a Chip and the National Institute of Standards Technology (NIST) were pleased to present the Art in Science award at the µTAS 2017 Conference on 26 October 2017. 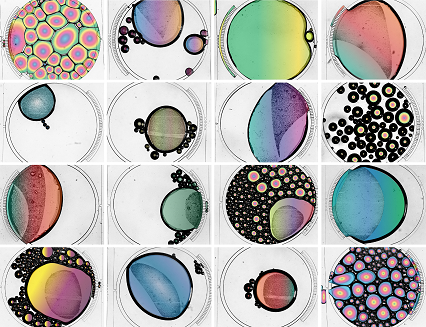 The award highlights the aesthetic value in scientific illustrations while still conveying scientific merit. Many fantastic submissions were received this year with the winner selected by Maria Southall, Lab on a Chip Deputy Editor, Darwin Reyes, NIST and Petra Dittrich, Lab on a Chip Associate Editor member. A big thank you to all the contributors this year! This year’s 21st International Conference on Miniaturized Systems for Chemistry and Life Sciences (more commonly known as MicroTAS) was held in Savannah, Georgia. 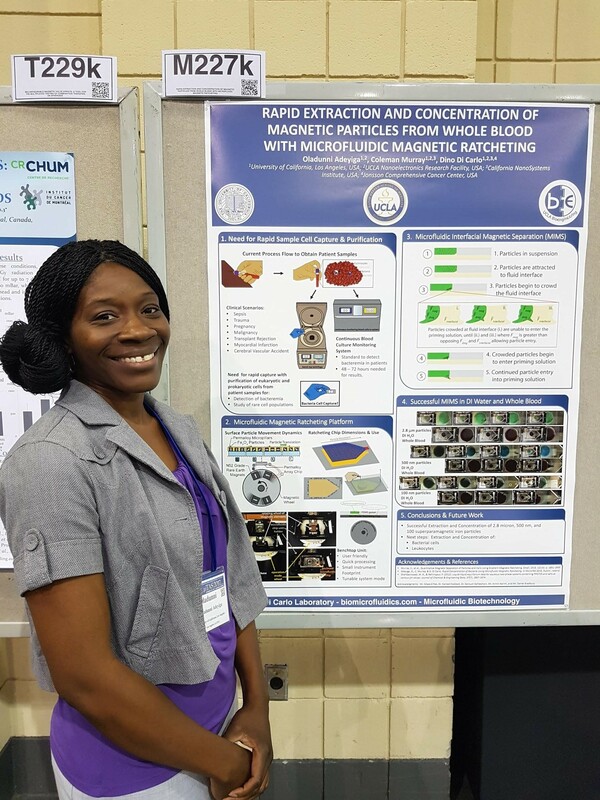 As with previous MicroTAS conferences, the event brought together the international microfluidics and lab-on-a-chip community for an outstanding week of talks and posters. Rather than starting with a talk, MicroTAS 2017 opened with a conversation with George Whitesides moderated by Thomas Laurell, who asked questions pre-selected from the conference attendees. Whitesides, one of the pioneers of microfluidics, provided salient and humorous takes on the past, present, and future of our field. Two of Whitesides’ memorable takeaways were: (1) keep things simple, and (2) make sure you can answer the question “who cares?” The spirit of open discussion that started at the beginning of the conference continued through the many oral presentations and poster sessions at the conference. While the talks and posters represented the usual gamut of microfluidic technologies, 3D printing made a big splash this year. There was a 3D printing session, with a great keynote from Greg Nordin, as well as posters and companies featuring 3D-printed microfluidics. The sense of community was also palpable during many ferry rides to the Savannah International Trade & Convention Centre, the student trivia night, female faculty mixer event, and the conference ending banquet (and unofficial after party!). Magnetic particles are a useful tool for extracting and concentrating target analytes. Conventionally, pipetting, centrifuge tubes, and magnetic racks are used, but this approach is prone to loss of particles and errors from pipetting. 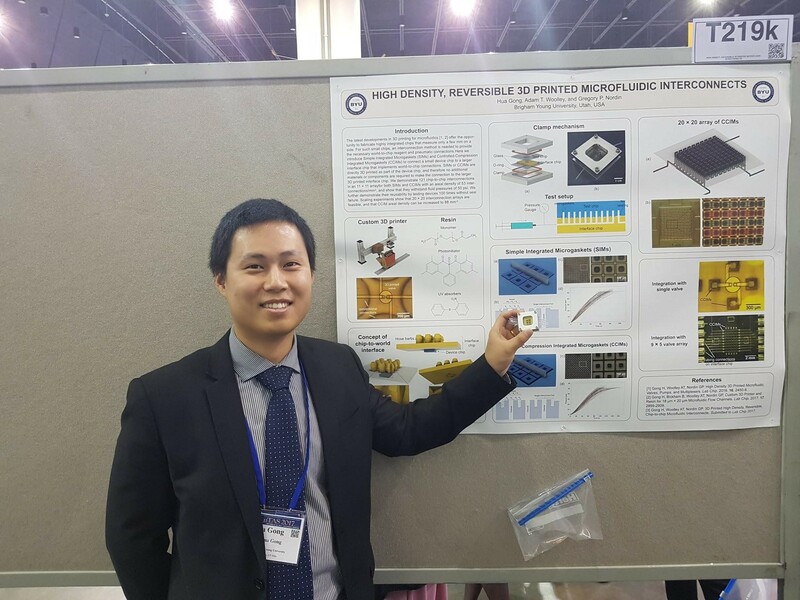 Dunni presented a new microfluidic device that concentrates magnetic particles using magnetic ratcheting. 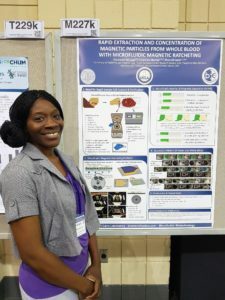 A rotating permanent magnet was used to induce magnetic fields in permalloy micropillars embedded within the devices, which could then move magnetic particles along like on a conveyor belt. At the end of the process, the particles are concentrated into a drop within an immiscible fluid. While demonstrated as a standalone device, this tool could also function as a pre-concentrator in an integrated microfluidic device. Earlier this year, Lab on a Chip published a paper describing the first 3D printed microchannels that truly had microscale dimensions. You can read the blog post summarizing the work here. It was nice to see this poster from Hua demonstrating the capabilities of their custom 3D printer, including printing complex valves. Hua explained how their 3D printer has a very small print area, and so one of the challenges to overcome was how to fit all the interconnects needed to control the valves into such a small space. 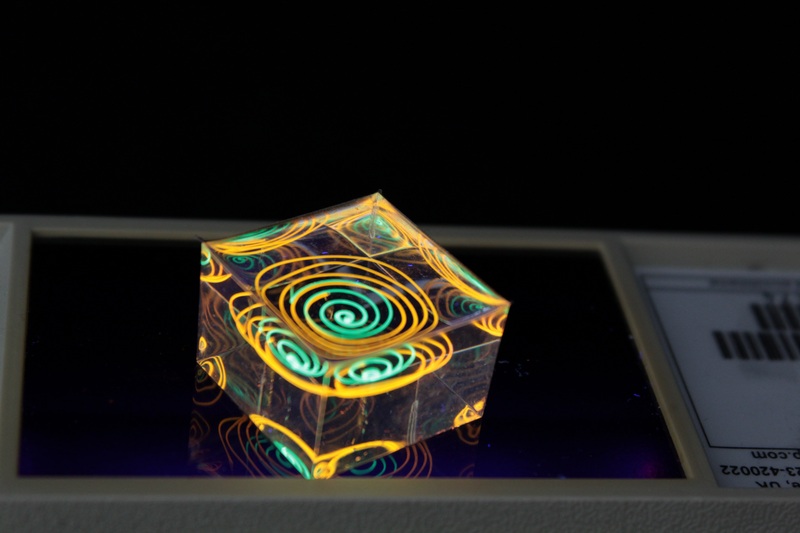 This was achieved by printing a world-to-chip interface that connects tubing to the smaller, more densely packed inlets and outlets on the microfluidic chip. 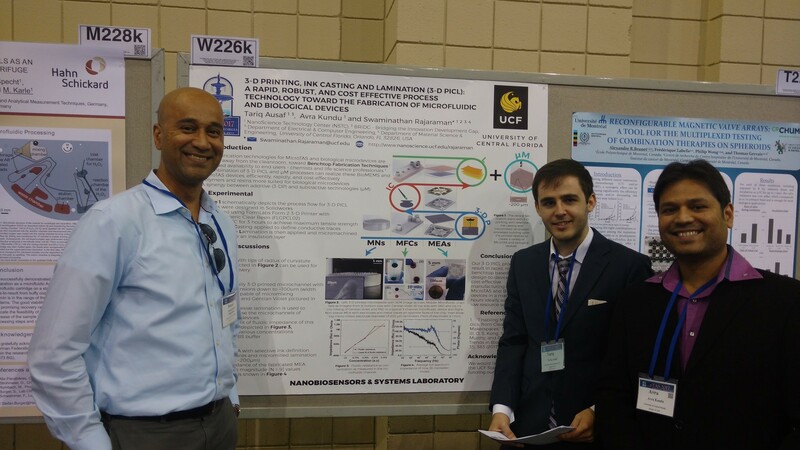 Tariq, Avra, and Swami presented an application of 3D-printing aimed at developing microelectrode arrays, microneedles, and microfluidic chips without cleanroom facilities. 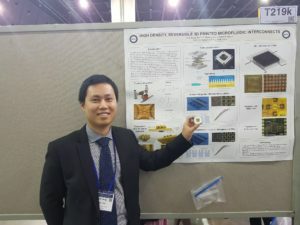 This work was motivated by a desire for disposable microelectrode arrays that can be developed from concept to functional prototype in < 24 hours. The authors integrated stereolithographic 3D-printing to form the device body, selective ink casting to define conductive traces, lamination of an insulating layer, and micromachining of electrodes and connecting layers. 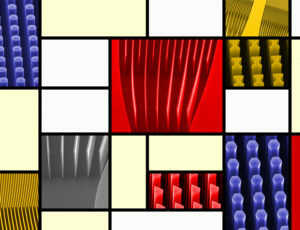 Combining multiple benchtop fabrication techniques could increase the functionality of the developed microdevices and could speed up the transition from prototype to final product in a cost effective manner. Pim de Haan, Margaryta A. Ianovska, Klaus Mathwig, Hans Bouwmeester and Elisabeth Verpoorte. What is the primary function of the gastrointestinal tract? Digestion. However, most human gut-on-a-chip models tend to focus on cultured cells in one region of the gut (typically the small intestine) and do not model the initial digestive processes that take place in the mouth, stomach, and small intestine. Pim’s work is focused on developing bioreactors to study the conversion of food into chyme, as it moves from the mouth, through the stomach, and into the small intestine. This requires accurate modelling and realization of the vast pH differences that take place from one region of the gut to the next and verifying enzyme activity within his gut-on-a-chip model. Future work will focus on integration of this upstream digestion model with the downstream study of absorption of nutrients across an intestinal cell layer. Darius Rackus (Right) is a postdoctoral researcher at the University of Toronto working in the Wheeler Lab. His research interests are in combining sensors with digital microfluidics for healthcare applications. Ayok unle Olanrewaju (Left) is an industrial postdoctoral fellow at McGill University working in the Juncker lab (dj.lab.mcgill.ca). He is excited about projects that use engineering design to effect real world change, especially in healthcare. Currently, he builds portable and self-powered microchips that rapidly detect bacteria in urine. Cancers typically originate in one organ yet can spread to distant regions of the body forming secondary tumours called metastases. This happens as cells from the primary tumour migrate into the circulatory system and then travel to other organs. These cells, which are a very rare population within the circulatory system, are termed circulating tumor cells (CTCs). Because of their role in cancer biology, they have garnered a lot of interest lately. Their detection and isolation present several analytical challenges. For one, they are the proverbial “needle in a haystack”, with counts on the order of one CTC for every billion blood cells. This has traditionally led to a paradox: these rare cells are best handled in microscale systems but the world-to-chip mismatch limits microfluidic devices from rapidly processing the large (> 5 mL) samples necessary. Second, recent studies have revealed CTCs to be very heterogeneous populations, limiting the use of surface markers for labelling and capturing a broad range of CTCs. Because there is much still to learn about CTCs, there’s also an interest in recovering viable CTCs for further analysis. In their recent report, Zhao et al. demonstrate a microfluidic device capable of enriching CTCs using magnetic separation. But it’s not that typical magnetophoretic separations you may be familiar with! Rather than using magnetic particles to bind to surface antigens and eventually separate out CTCs, they capitalize on a phenomenon known as “negative magnetophoresis”. Cells are suspended within a uniformly magnetic medium and application of a non-uniform magnetic field results in a magnetic buoyant force. (This is akin to how negative dielectrophoresis exerts a force on particles in a non-uniform electric field.) The advantage of this method is that the “working principle applies to every non-magnetic material,” according to Prof. Leidong Mao. “Naturally,” he thought “it could apply to CTC enrichment.” However, despite previous work separating different cell populations with negative magnetophoresis, moving to CTC enrichment is not so straightforward. CTC enrichment is the most challenging separation. “All previous applications in our group are with cells at high concentrations,” mentioned Prof. Mao. The main challenge in developing the chip was trying to preserve the characteristics of an “ideal” CTC enrichment device; one that could process a significant amount of blood quickly, have a high recovery rate of CTCs, give reasonable purity of isolated CTCs, and retain cell integrity and viability for further analysis. With this method, heterogeneous populations of CTCs can be enriched as selection is size dependent rather than based on expression of certain surface markers. This also avoids the costs associated with traditional magnetic labelling – typically used to label and deplete the millions of white blood cells. The device is capable of working at flow rates of 5-7 mL/hr, which is what is necessary to process an entire blood sample and can achieve high recovery rates (>90%). While the authors report purities that appear low (10-12%), they are working on improving purity. One strategy they suggest in their report is to follow the route of the iChip and combine size based separations with magnetic WBC depletion. 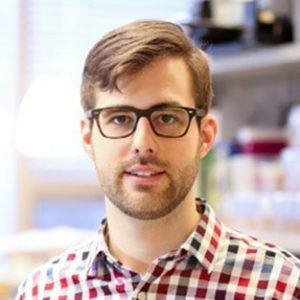 Darius Rackus is a postdoctoral researcher at the University of Toronto working in the Wheeler Lab. His research interests are in combining sensors with digital microfluidics for healthcare applications. 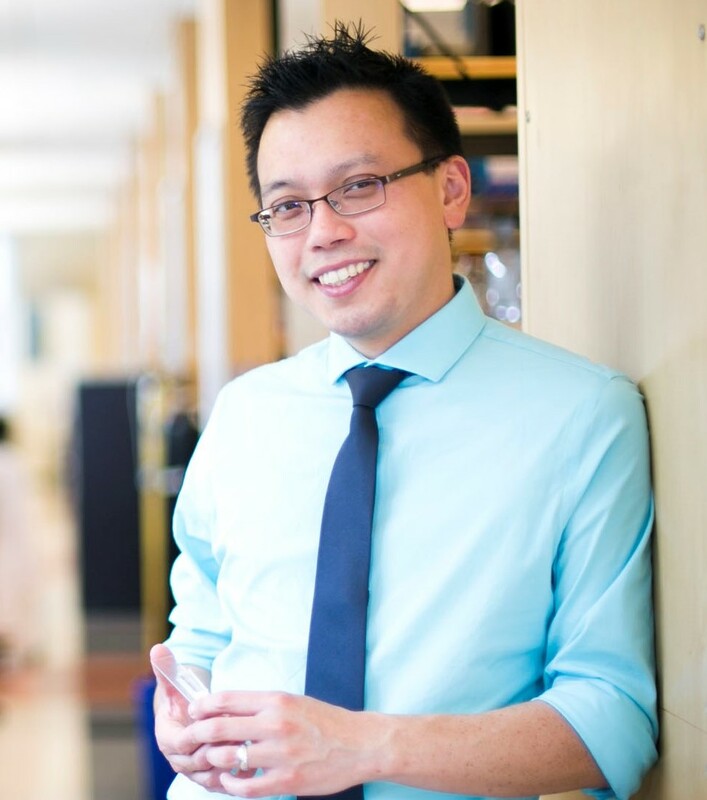 We are delighted to introduce our latest Lab on a Chip Emerging Investigator, Wilbur Lam! Wilbur A. Lam, MD, PhD is an Associate Professor of Biomedical Engineering and Pediatrics at the Georgia Institute of Technology and Emory University and has a unique background as a physician-scientist-engineer trained in pediatric hematology/oncology and bioengineering. Dr. Lam’s interdisciplinary laboratory, located at both Emory and Georgia Tech, includes engineers, biologists, biophysicists, chemists and physicians. Our laboratory serves as a unique “one-stop shop” in which we develop in vitro microsystems to study hematologic processes in both health and disease and then immediately bring those technologies to the patient bedside. More specifically, the Lam laboratory’s research interests involve the development and application of microsystems to enable research in pathologic biophysical blood cell interactions that occur in diseases such as sickle cell disease and thrombosis, as well as further translating those systems into novel therapeutics and diagnostic devices. Your recent Emerging Investigator Series paper focuses on probing blood cell mechanics of hematologic processes. How has your research evolved from your first article to this most recent article? 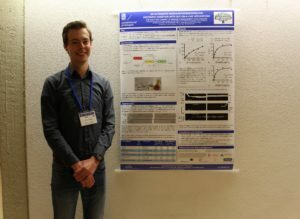 As a bioengineer and a physician specializing in paediatric haematology, my initial goals for our lab were really twofold: 1) to leverage microscale technologies to apply cell mechanics principles towards investigating clinically relevant biologic processes and 2) to convince the medical and clinical haematology fields that physical phenomena such as shear stress and the mechanical properties of the microenvironment can directly mediate the biologic processes of blood cells and pathophysiology of blood diseases such as sickle cell disease and thrombosis. Over the last few years, I think our lab and other groups have accomplished that and we’re now concentrating on not only the basic science questions of blood cell mechanics but how to apply the microtechnologies we develop as potential diagnostics and even therapeutic systems for patients with blood diseases. Along those same lines, we’ve been at this game long enough to see some of our microtechnologies translate to my patients with blood diseases, which we find pretty exciting. For example, we just received FDA clearance for a point-of-care anaemia diagnostic our lab developed. We also have several other blood cell mechanics-based microtechnologies that are in our lab’s translational pipeline we’re pretty excited about. For instance, we’ve developed a microfluidic system that can assess platelet contraction forces at the single cell level and we’re now trying to determine whether that system can be used to diagnose patients with bleeding disorders, a clinical interest of mine. At the same time, we’re also trying to leverage that mechanical phenomenon of platelet contraction as a “Trojan Horse” strategy of targeted drug delivery for haemophilia, which we find to be pretty sci-fi and exciting. Moreover, using fairly simple microfluidic devices, we determined that intravenous hydration, a standard first-line therapy for sickle cell disease, may have beneficial as well as deleterious effects on red cell mechanics, which could potentially alter how we treat this disease. We’ve also developed technologies that can enable the translation of other technologies including a microfluidic device that can improve the transduction efficiency of lentiviruses for gene therapy and CAR T-cell therapy, which are both making significant clinical impacts right now. That said, we still remain very interested in the basic science of blood cell mechanics, which is evidenced by this current paper of ours, and we have active projects including but not limited to investigating leukocyte mechanics and are developing new microfluidic strategies to study and model bleeding. In your opinion, what is the biggest potential impact the results of this research will have on blood disorder diagnostics? I think impact of our research regarding blood disorder diagnostics can be measured in several ways. First, we obviously want to positively affect and help as many patients and people as possible, which is why we’re clearly excited about the recent FDA 510K clearance of our point-of-care anaemia diagnostic. For that project, we’re currently planning our manufacturing and distribution strategy with different partners to commercialize and disseminate this technology in the US and abroad to impact as many people globally as we can. In addition, we can also measure impact on a more personal level. One of the reasons why our lab has been fortunate enough to be able to recruit the best graduate students and postdoctoral fellows is because of our unique setup in which our lab is located both on the engineering side at Georgia Tech as well as the clinical side at Emory University and Children’s Healthcare of Atlanta, where I am a practicing physician. I’ve truly been blessed to work with the best and most talented students and postdocs in the field of bioengineering and I think they enjoy the fact that they can design a device and literally see it be used on a real live patient within a relatively short time frame. This is great for my patients as well, who are able to witness firsthand how medical technology develops and the potential of how it can improve their own lives in the near future. So, in essence, our lab has developed a “basement-to-bench-to-bedside” approach in which we design and develop microtechnologies to not only study disease but also directly translate these to the patients I care for and even conduct clinical assessments and trials for those devices – all under one roof. By the way, if your readers can help me come up with a better word than “basement” while still maintaining the alliteration as well as the overall message of the phrase, my lab and I will be extremely grateful. Like many other bioengineering laboratories among your readership, successful design and development of a novel micro/nanoscale technology is only half the battle. Then you have to do the actual experiment to demonstrate its utility and hope it delivers some type of value. This can be frustrating at times, as our projects can take twice as long as average, but the hope is that our impact will be doubled as well. I attend the annual American Society of Hematology and International Society on Thrombosis and Haemostasis meetings as I serve on the scientific committees for both of them. I also frequently attend the annual Biomedical Engineering Society and MicroTAS meetings as well. I answer interview questions for scientific blogs! Seriously, I’m a huge fan of pop culture and pop music. I even have a lifetime subscription to Rolling Stone, which I’ve been starting to regret in recent years as I’ve grown older as the covers of that magazine have progressively gotten more risqué (or maybe that’s just my perception as whatever semblance of hipness and coolness I ever had is exponentially decreasing with time). I also still pick up my guitar every now and then – especially when I’m procrastinating writing a grant or submitting grades. Hone your writing skills, start early and keep practicing. I am constantly amazed at how much of my time is devoted to writing and how important that skill is to be a successful scientist. Whether it’s writing or editing papers, lectures, or grants, I find I actually spend most of my time writing. In retrospect, this makes sense as communication really is the currency of science, but there’s no way my younger self would believe me if I were to travel back in time to let him what was ahead of him. I’ve had many young people tell me they want to go into science specifically because they dislike writing, which is obviously a misperception I’m quick to point out. In fact, one joke (and not a very good one, admittedly) I often share with my students is that as a scientist, I actually write really bland non-fiction for a living and for a very small audience, and when I’m grantwriting, I’m only writing to an audience of three people. The µTAS 2017 Conference was held during 22 – 26th October in Savannah, Georgia, USA. Maria Southall, Deputy Editor of Lab on a Chip, attended this conference and announced the prestigious Lab on a Chip awards which include the Pioneers of Miniaturization Lectureship (in partnership with Dolomite Microfluidics), the Widmer Young Researcher Poster Prize, the Art in Science competition (in partnership with NIST) and the µTAS video competition (in partnership with Dolomite Microfluidics). The competition was tough, but we are pleased to announce this year’s Prize Winners below. 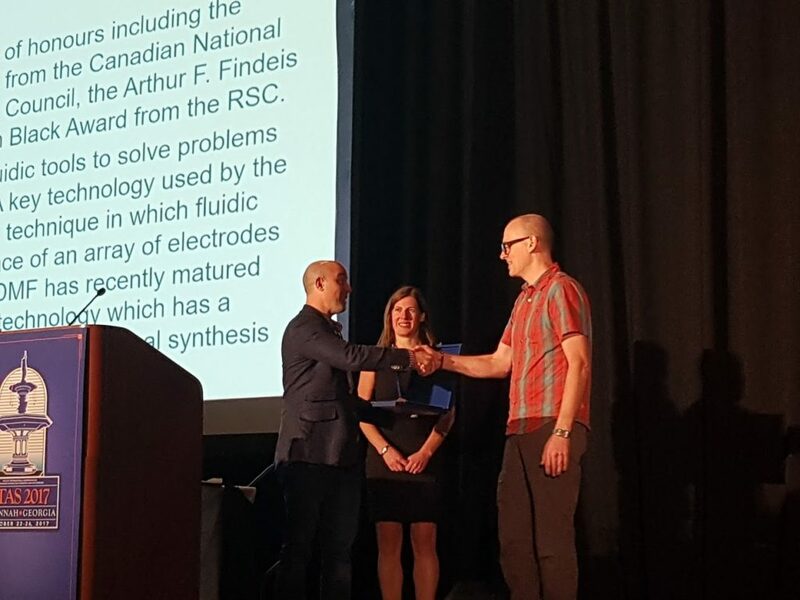 Professor Aaron Wheeler (University of Toronto) was announced as the winner of the 12th “Pioneers of Miniaturization” Lectureship, sponsored by Dolomite and Lab on a Chip. The “Pioneers of Miniaturization” Lectureship rewards early to mid-career scientists who have made extraordinary or outstanding contributions to the understanding or development of miniaturised systems. Professor Aaron Wheeler received a certificate and a monetary award, and delivered a short lecture titled “A Pioneer’s Trail: from Savannah to Toronto to Kakuma and Beyond” at the conference. Left to Right – Aaron Wheeler (Winner), Maria Southall (Lab on a Chip), Mark Gilligan (Dolomite). Photo taken by Darius Rackus. 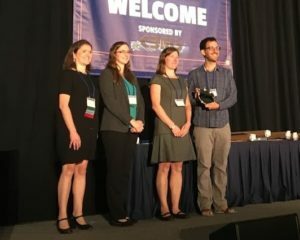 Darwin Reyes from the National Institute of Standards Technology (NIST) and Lab on a Chip presented the Art in Science award to Maria Cristina Letizia (EPFL, Switzerland). The award aims to highlight the aesthetic value in scientific illustrations while still conveying scientific merit. Check our her winning photograph “Give Bubbles a Chance” below. 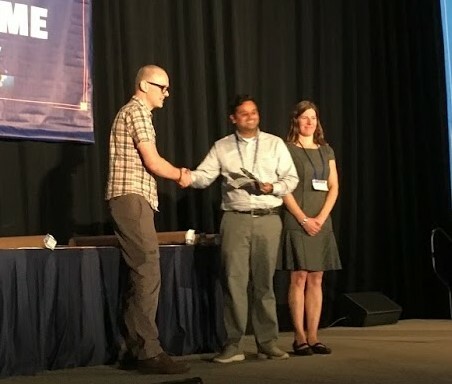 Dolomite and Lab on a Chip announced Aniruddha Kaushik (Johns Hopkins University) as the winner of the 2017 µTAS video competition. µTAS participants were invited to submit short videos with a scientific or educational focus. The winning video “Droplet Microfluidics Rap” can be viewed on our YouTube channel, along with the runner up video “Bubbles in Complex Microgeometries at Large Capillary Numbers” by Martin Sauzade (Stony Brook University). Mark Gilligan of Dolomite presented the winner with a voucher for Dolomite equipment. 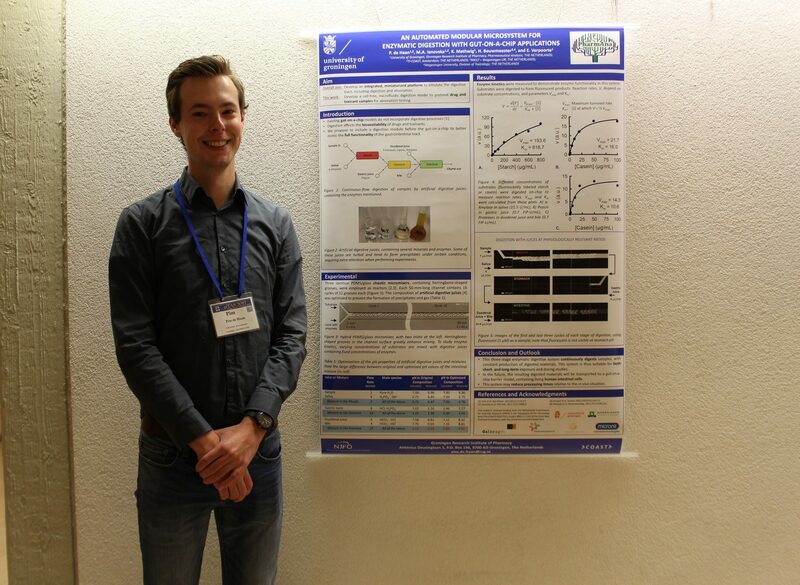 The Widmer Young Researcher Poster Prize was awarded to Jin Ko, PhD student at the University of Pennsylvania for their poster on the prognosis of traumatic brain injury using machine learning based miRNA signatures in nanomagnetically isolated brain-derived exosomes. Congratulations to all the winners at the conference! We look forward to seeing you at µTAS 2018 in Kaohsiung, Taiwan! You are currently browsing the Lab on a Chip Blog blog archives for November, 2017.